Andrew Phillip Smith is editor of The Gnostic and the author of several books on Gnosticism, esotericism and early Christianity, including the first ever dictionary of Gnosticism. He has also written for New Dawn, Fortean Times and the Guardian. 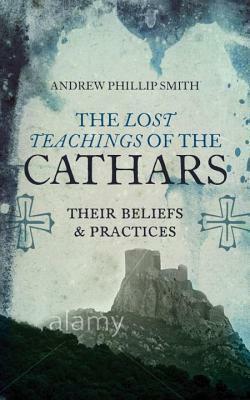 Andrew Phillip Smith is the author of several books and articles on Gnosticism, early Christianity and esoterica. His books include A Dictionary of Gnosticism, The Gnostics: History Tradition Scriptures Influence, The Lost Sayings of Jesus: Annotated & Explained, Gnostic Writings on the Soul: Annotated & Explained, and The Gospel of Philip: Annotated & Explained. He is also editor of The Gnostic: A Journal of Gnosticism, Western Esotericism and Spirituality, for which he has interviewed or included articles by people such as Alan Moore, Colin Wilson, Patrick Harpur, Sean Martin, and Stephan Hoeller. He writes occasionally for Fortean Times. His small press imprint, Bardic Press, publishes niche-interest new and classic works on Gnosticism, Gurdjieff, Celtic myth and Sufi poetry.